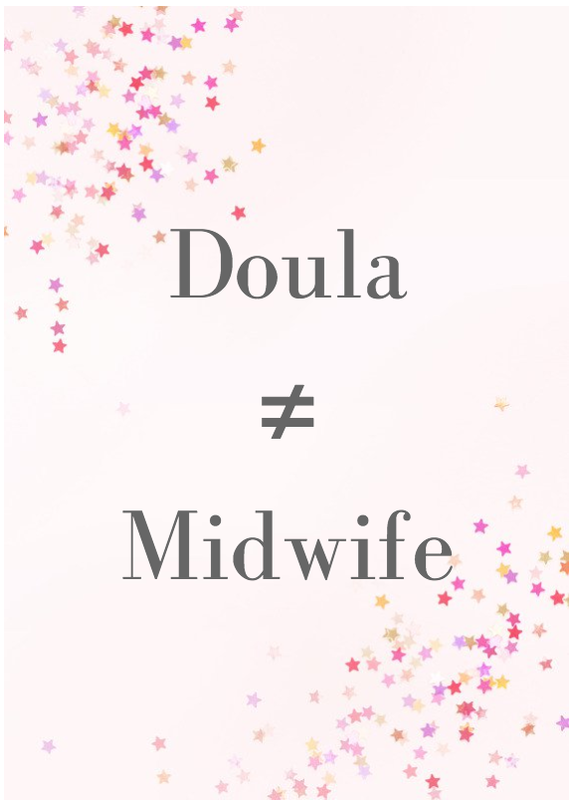 Something that I get a LOT when I tell people that I'm a doula, is: "oh, like a midwife!". No. Not like a midwife. I then usually go on a tangent about how they are in fact different professions with different roles, and the person I'm speaking to either learns something new, or loses interest. Sometimes the conversation turns into "so are you going to become a midwife, then?". The simplest explanation differentiating the two is: doulas are non-medical support people, whereas midwives are medical, as they actually deliver the baby. But let's break it down even further, shall we? -performs clinical tasks such as checking cervical dilation, blood pressure, medical charting etc. Some midwives do go above & beyond, and possibly offer even more than what is listed. However, their main focus is always on the health of the mother & baby. If, God forbid, anything were to go wrong, it's in their hands. They need to act quick, problem solve. And keeping mum calm during this time may not be their top priority. Which is where your doula comes in! Doula translates from Greek as "woman servant". Your doula is always there for YOU. Not for your baby. You are the star of the show. Birth is not only about bringing your baby earth-side, it's also about creating a mother. And doulas are there to support that mother in whatever way she needs. As doulas and midwives are definitely not interchangeable, you can in fact utilize both for your birth! So once you know who will be delivering your baby, it's time to build your birth team! In addition to your partner, and possibly mother, sisters, & friends, a doula is a great option. All the support that you can get will only help you on your birth journey. Midwives and doulas work well together, with the same main goal of a happy, healthy mom & baby. With both of us there, you can pretty much be certain that everything will be taken care of!